What are you barbequing / grilling this weekend? 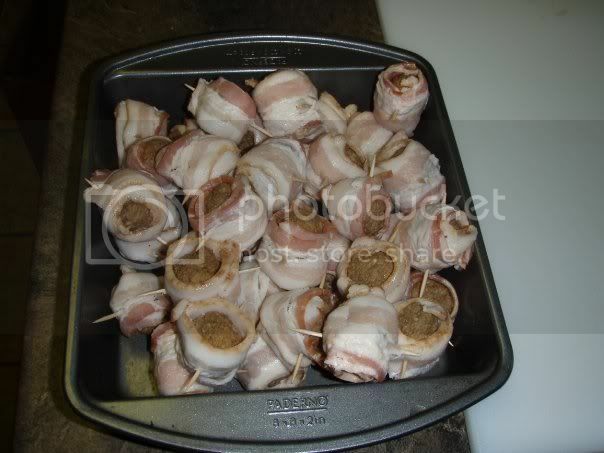 I think I am going to try some moinks (meatballs wrapped in bacon) as seen here along with some jalapeno poppers on the UDS if the weather is good. Re: What are you barbequing / grilling this weekend? I got a whole pork shoulder going on tommorow night for saturday, pics to come! 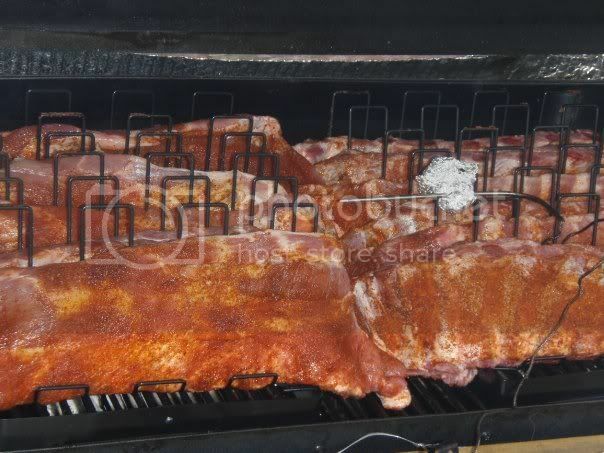 Can't wait to see the pics, there is nothing like the wait and watch of a good long smoke! I am still thinking I need something bigger - might be the last time I get to use the UDS this year, wonder if my wife wants ribs? Having a house full tonight. Currently have 6 full racks of ribs on. 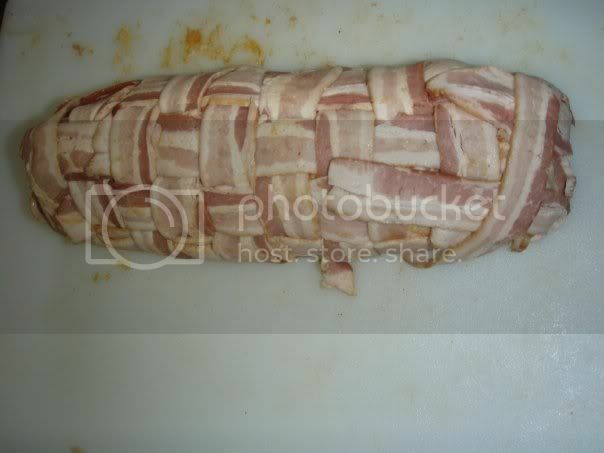 Waiting to put on the Moink balls and chipolte cream cheese fattie. Some pre smoked pulled pork and chicken chilli also. This time I have pics! Sounds amazing! Can't wait for the pics! Chicken, ribs and steak . . .
maybe some grilled salad and tomatoes! I'm not BBQing or Grilling this weekend but I am making up 5 dozen pickled eggs. I love pickled eggs. A few years ago I made a big batch of pickles and had some brine and clean processed and had a dozen eggs in the fridge and threw the eggs in the jars with dill and garlic. They were the best pickled eggs and the dill was awesome! I just put a 14lb brisket on the smoker. We'll see how it goes.